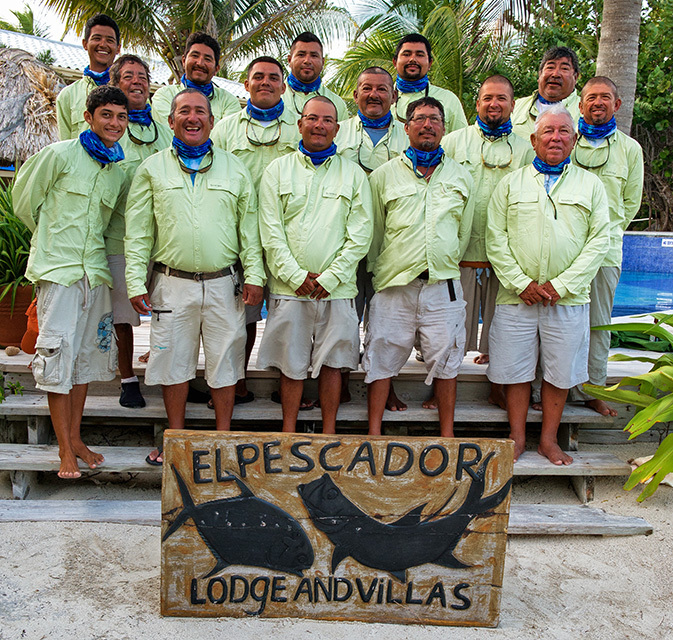 Founded as one of the first fishing lodges in Belize, El Pescador has three generations of guide staff working full time that know every detail of the flats surrounding Ambergris Caye and beyond. 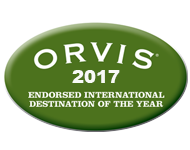 You won't find a more experienced group of full-time professional guides and staff anywhere. Isa Rodriguez (center) is from the village of Valley of Peace in central Belize. Isa began his training at El Pescador in 2008 and was our Associate Fishing Director from 2013 - 2018. Isa was promoted to Fishing Director in 2018. 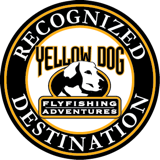 Isa obtained his Casting Instructor Certification from the Federation of Fly Fishers in February of 2013. Isa joins three other El Pescador guides as the only Belizean certified casting instructors currently teaching in Belize. Isa has a remarkable ability to teach both novice and experienced fly casters due to his easy going, no pressure sessions but at the same time drawing on the skills and techniques from any source that crosses his path. Isa is the quintessential student and loves to learn; he will be a lifelong student and teacher of fly casting. His knowledge of the local culture, his ability to explain casting techniques and styles, and his knowledge of knots as well as our home waters make him an invaluable member of our El Pescador family. All El Pescador fishing guides were born and raised on the island. The lodge prides itself on having some of the most experienced guides in Belize. Many of our fishing guides have been with us for over 20 years, and now our second and third generations of El Pescador guides are in full swing! Most guides trained with their fathers or uncles for many years, learning the craft, before captaining their own flats boat. Our guides' encyclopedic knowledge of this fishery comes from a lifetime dedicated to learning where the fish are and how they behave. El Pescador guides are excellent technical fishermen and will be happy to provide instruction during your fishing day. At El Pescador we have created a teaching environment. When you arrive we sit down with you, make sure you have the gear you need, describe the current fishing conditions, and generally get a feel for what you hope to achieve while fishing with us.